Life in New York is all about making choices. The real estate market in NYC is different from any other in the United States, and not only because of the prices. Should you buy or rent? What to choose between a condo and a co-op? You may already know that there are two types of apartments in NYC, co-op (cooperative) and condominium (condo). There are definitely more co-ops (about 75 percent of the real estate market) than condos in NYC, but the gap between them keeps narrowing. However, there are usually more condos on the active real estate market. If you’re looking for an apartment in a new building, it will be most probably sold as a condominium. A lot of buildings in the Financial District and the Battery Park are condos. The basic difference is that when you buy an apartment in a condominium, it actually belongs to you while an apartment in a cooperative is technically not yours. The building is owned by a corporation, and you just buy some shares in it. You will have to sign a lease to give you the right to occupy the unit. But let’s have a closer look at these forms of housing. Condo is a shortened form of the term “condominium”, which is a form of housing where parts of an apartment house are owned individually. Condominium buildings became popular after 1970’s. That’s why they are usually more modern than those with co-ops. Condo developments commonly have luxury amenities, like concierge cervices, spas, pools, fitness centers, etc. Both exterior and interior of such buildings often feel trendier than co-ops. Buying a condo apartment, you own real property. Most people want to rent condos rather than co-op apartments. Since the buildings are new, the places are in good shape. Every condominium has The Homeowners’ Association (HOA)/Condo Board that has certain power and responsibilities. A condo board represents owners. They are responsible for the operation of the complex and make all the main decisions regarding the maintenance of the building. The HOA is in charge of maintaining and repairing common areas that usually include sidewalks, parking lots, playgrounds, swimming pools, lobbies, hallways, etc. On the other hand, homeowners are responsible for maintaining and repairing within their homes, as well as exterior parts of the owners’ homes. HOAs operate independently from each other. Thus, condo fees, contracts and rules vary in each building. HOA fees usually range from $200 to $400 per month. The more amenities the building has, the more you’re going to pay. Newer developments usually have lower HOA fees in order to attract potential buyers, but the amount will inevitably grow within years. Maintenance of the outside of the building that includes lawn care, exterior painting, roof leaks, driveway pavement repairs, etc. City Services that usually include trash removal, as well as water, sewage and electricity for the communal area. Insurance that covers only damages outside of the building and its surroundings. Pest Control. HOAs usually schedule a regular inspection and treatment from a pest control company. In many ways, condo boards are more flexible than those in co-ops. Unlike co-ops, condos allow international buyers purchase the property. Condo boards are also more flexible and let you sublet the apartment, which is restricted when you live in a co-op. Now, let’s look at the details of cooperatives, so that you could choose between condo and co-op. A housing cooperative is a form of ownership where people buy shares to let them house a unit in the property of a corporation. As we have said, you do not actually own the property but become a shareholder in a corporation. Most prewar buildings are organized as cooperatives. Since co-op buildings are usually older ones, they are commonly located in central areas. Market Rate Co-Ops that allow people to buy and sell shares at the price of the current market. Limited Equity Co-Ops establish restrictions on the price to sell and buy shares. Leasing Co-Ops, in which the co-operative corporation leases the building instead of owning. Another peculiarity of a co-op is the Board interview. The application process is always long and exhausting. After submitting the application, you should be approved by the board. This process is also time-consuming. If there’s anything they don’t like in the provided documents, you can be rejected. During such moments, it seems that they are almost omnipotent. There are certain restrictions when applying for a co-op. The financial aspect is the number one reason why the board can reject a potential buyer. Maybe you’re not being honest about how much you really have. They usually want you to have one to three times the purchase price after you buy a place in their coop. That’s why it’s so important to present your financial documents in the best light. Keep in mind that if anything you mentioned does not get verified, you’ll be rejected. Also, they will rarely accept anyone with funds outside the U.S.
It’s also not good when your income isn’t stable and varies a lot. If someone like a parent or friend has helped you by giving a big amount of cash, the board may not like it, as you are the one to take care of the place for years. They say a co-op is a good choice when you want to “plant roots” and stay in a place for decades. Another thing is that co-ops require potential buyers to use an apartment as their primary residence. If you’re only planning to move to New York after the deal is closed, the board may ask you to pay two-year maintenance to guarantee that you do want to live in the place. If you have a bad landlord-tenant history, the board can be scared by the fact. Be ready to answer all their questions honestly. You can be asked about the reasons to move, as well as your job and how you like it. They can ask whether you’re planning a renovation in the apartment. Are you a social person and like to have parties? How do you spend your spare time? Be ready to tell them why you have chosen this particular neighborhood. The board does not want an annoying neighbor in their cooperative. If you’re a rock musician or play the drums they won’t like it. In any case, you should do your best to make the board like you and let you in their building. As you can see, it is not an easy task at all. A coop board usually has a lot of rules. They not only decide whether you will be the proud owner of an apartment in their building. The board can also dictate the rules about how you can renovate the place, rules regarding pet policies, and so on and so forth. Don’t you think that it’s going to be so easy to put Christmas decorations on your door. Check up with the rules at first. Do you have pets or think about getting one? The board may not like it. Since rental and sale price keep rising in NYC, it’s all about the price. According to The Quarterly Elliman Report, sale prices on both condos and co-ops were moving upwards. The median sale price for a two-bedroom co-op was $1,300 million in the fourth quarter 2015 while it was a little bit under $2 million for a two-bedroom condo. 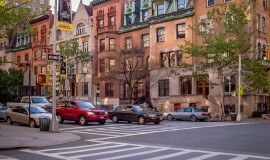 Three-bedroom co-ops showed a median sale price of $2,550 million, and it was almost $4 million for three-bedroom condos. As for the down payments, it’s enough to pay only 10% of the sale price of a condo. To buy a place in a coop, your down payment will be 20% to 50%. Living in a condo, your monthly payment is called “common charges”. When you live in a co-op, such bills will be called “maintenance”. Both of them cover the upkeep of the building. The maintenance fee includes payment for a part of the building’s property tax, calculated according to the owned shares. Condo monthly charges include your place’s property taxes. Besides, maintenance costs are shared between all the owners in the condominium. This will likely result in paying more when you own a condo than in a co-op unit of the same size. There’s no surprise here: condo fees usually include charges for amenities, utilities, maintenance of common areas, insurance policies, and property management fees. In addition, closing costs on a condominium are usually higher than on a co-op. They are the numbers you will pay over the price of the apartment, including fees, charges, and taxes. Consider all the mentioned facts scrupulously before making your final decision. What would you choose when talking about condo vs. co-op?